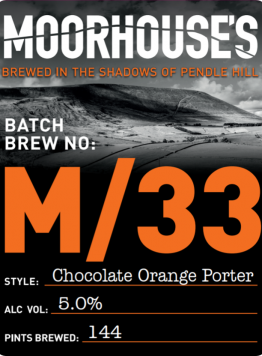 A dark chocolate stout with a burst of Valencia orange flavour. We promise not to fill your inbox full of spam, and you can unsubscribe at any time. Please Drink Responsibly ©2019 Moorhouse’s Brewery Ltd, all rights reserved.